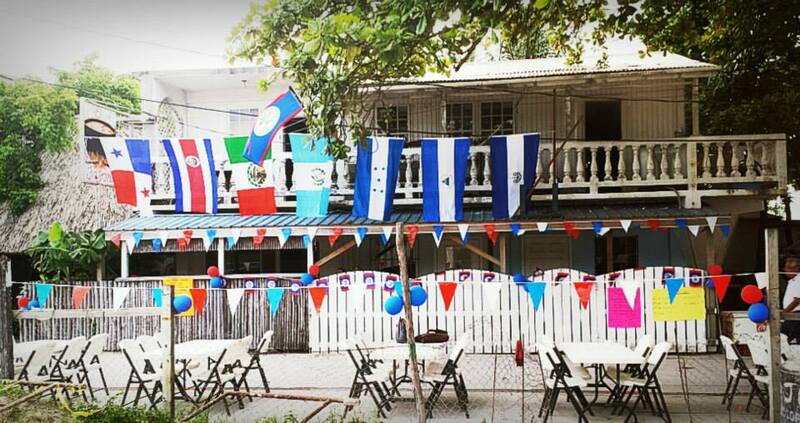 Saga HS would like to give a sincere Thank You to El Fogon and every person involved in making Cook-Off Central America on September 19th a festive and successful night. 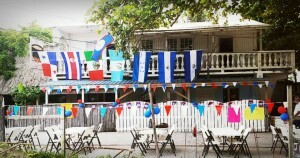 On the newly paved Trigger Street, country flags made for a celebratory atmosphere for a block party all provided by gracious hosts El Fogon. 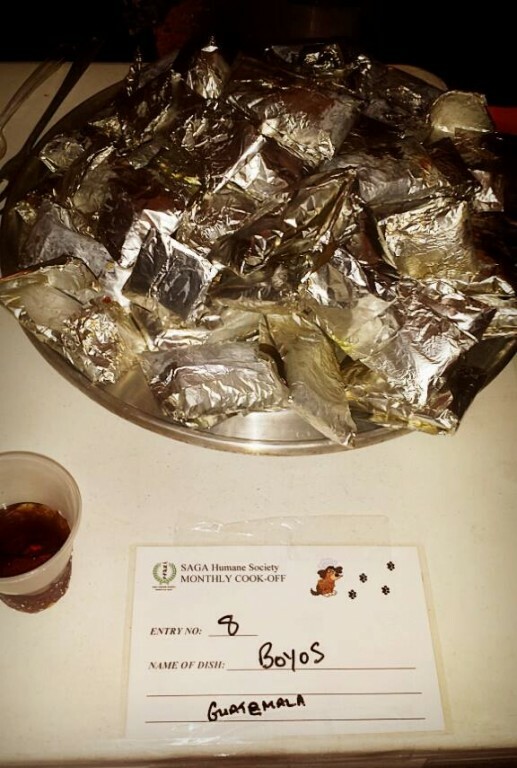 Money raised will be used for the October SNIP-a-thon when Saga will be hosting visiting vets to provide over 300 FREE spay/neuter for low income island residents. All eight countries of Central America were represented with impressive entries into this month’s contest. 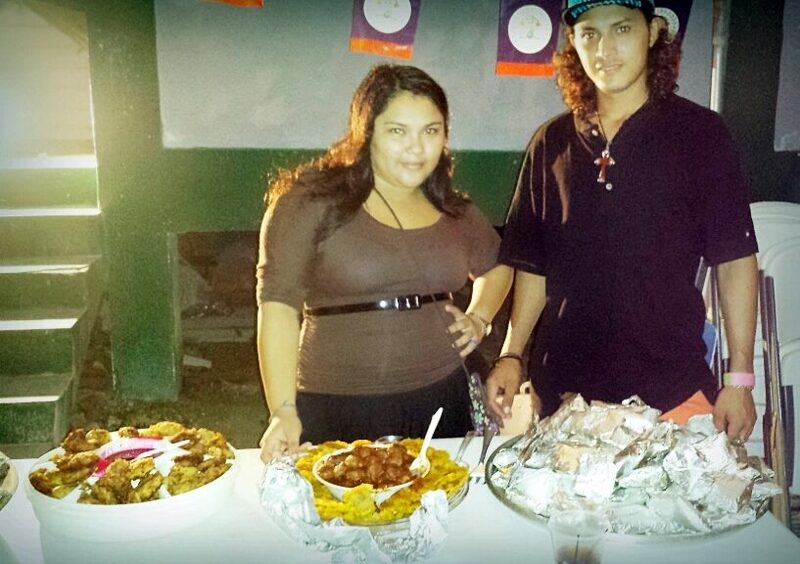 After all the votes were counted Feliz Bar’s was the 1st prize winner for Pollo Encebollado - (Nicaragua). 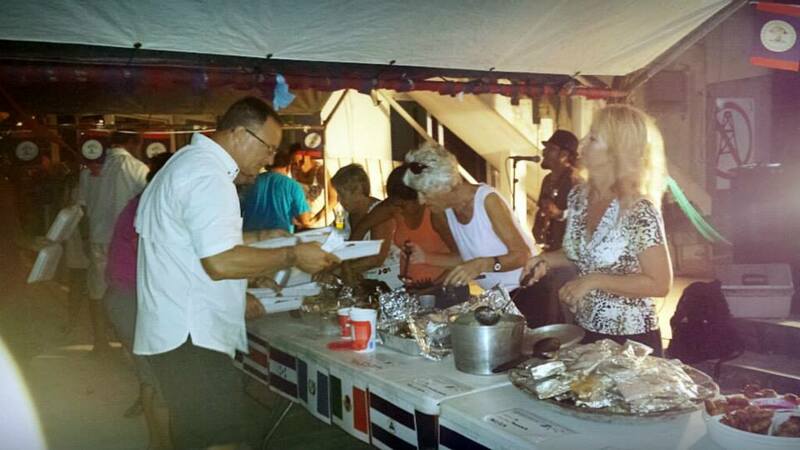 2nd prize winner went to El Fogon for Tamales - (Belizean). 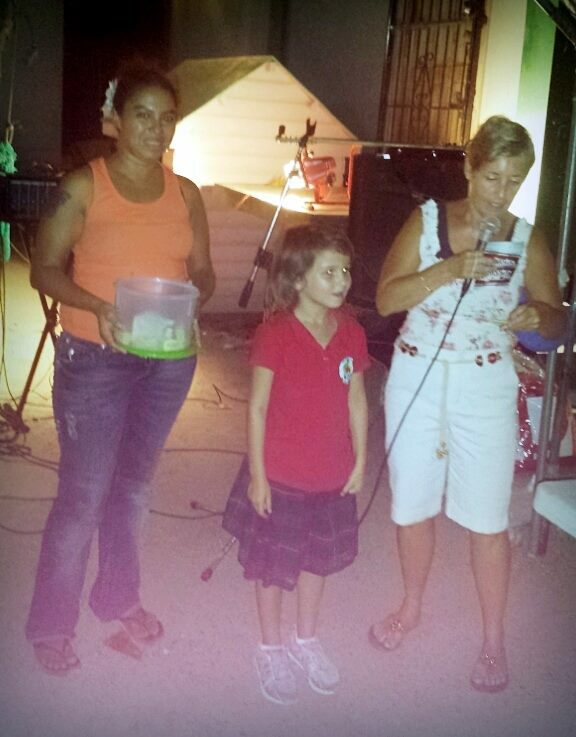 3rd prize Croquetas de Res con Queso - (Costa Rica) to Carolina Caldweld. 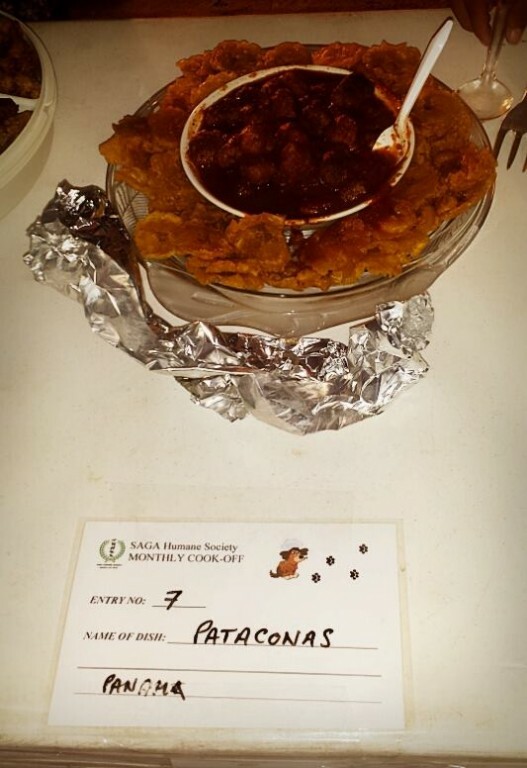 The other delicious dishes were Pupusas (Salvador) from Pupuseria Tipico Salvadoreño Restaurant, Chicken Quesadillas (Mexico) - Faride Lima, Stuffed Plantains w/cream (Honduras) - Letty Hernandes, Patacones - (Panama) Carolina Caldweld, Bollos (Guatemalan tamales) – Patricia Rosalez. Saga is very grateful to have the support of all those who entered. Thank you to dish sponsors Rene Steinmetz, Pampered Paws, Sew What, and Wolfgang Wind. 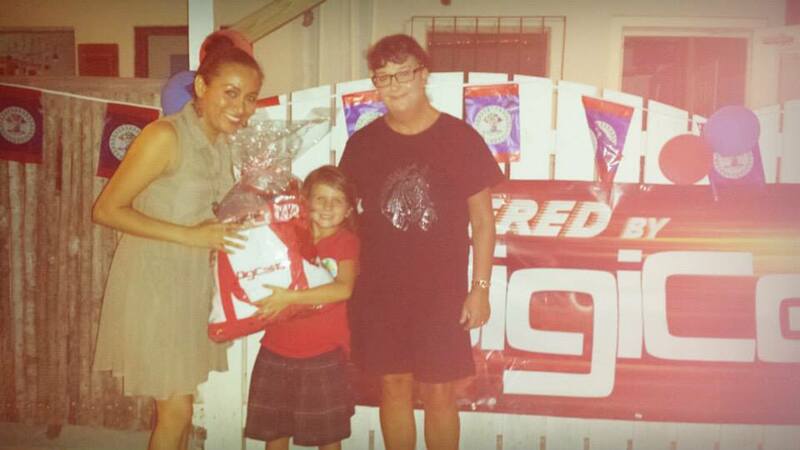 Local business also generously supported the night with donations for our famous raffle and Tropical Sangria. The raffle prizes were a Digicell (BTL) gift Basket and free 4G service cards, Carlo & Ernie’s Runway Bar gift certificate and wine from Premium Wine and Spirits. Traveller’s donated brandy and Chef Chap Ross made the Tropical Sangria. Saga is grateful to these businesses that make a commitment to make a difference in our community. Of course, the night was made possible by hard working volunteers who made the night a triumph: Renee Steinmetz, Sharon Metcalfe, Cindy Carlson, Jackie Cervoni, Janina Canales, Grant Crimmins, Sandy Rigby, Alan Soto, Omar Alavarez and Sucely Blanco. Saga thanks El Fogon for hosting; they know It’s Hip to SNIP!